Nasrin Sotoudeh is one of Iran’s most prominent human rights attorneys and has been a thorn in the side of the Iranian regime’s controlling mullahs by objecting to some of their most extreme laws and representing some high-profile protestors. In a blatant act that can only be seen as a complete disregard for international opinion, the regime went ahead and arrested her at her home in Tehran where she was transferred to the notorious Evin prison according to her husband, Reza Khandan. 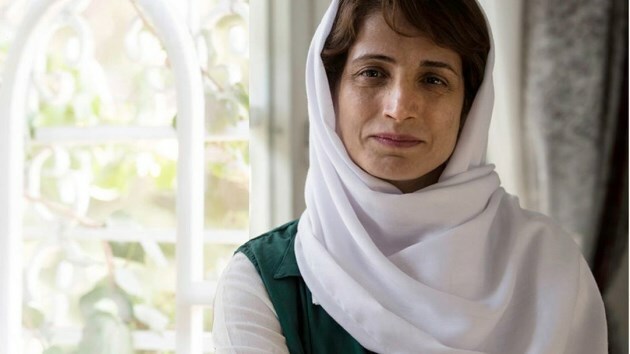 “Nasrin Sotoudeh has dedicated her life to fighting for human rights in Iran. She has won international awards but has also paid a high price for her courage, spending three years in jail. Her arrest today is the latest example of the Iranian authorities’ vindictive attempts to stop her from carrying out her important work as a lawyer,” said Philip Luther, research and advocacy director for the Middle East and North Africa at ‎Amnesty International in a statement. The net effect of which is to allow the regime to round up anyone and toss them in prison without representation in what amounts to arrest, sentencing and imprisonment all at once. Sotoudeh is no stranger to the regime’s cruelty, having represented Narges Hosseini, who was prosecuted for peacefully protesting against compulsory veiling in Iran earlier this year. Since December 2017, dozens of women have been violently attacked and arrested for peacefully protesting against compulsory veiling according to Amnesty International. In September 2010, Nasrin Sotoudeh was sentenced to six years in prison on charges of “spreading propaganda against the system” and “gathering and colluding to commit crimes against national security” for her work as a lawyer, including defending countless cases of prisoners of conscience and juvenile offenders sentenced to death. In 2012, she received the European Union’s highest human rights award, the Sakharov Prize for Freedom of Thought, and continued to work as a human rights lawyer even as the regime denied her repeated requests to represent political prisoners. Predictably, the Iran lobby sought to frame her arrest as an outgrowth of President Trump’s decision to back out of the Iran nuclear deal which helped empower “hardliners” according to Trita Parsi of the National Iranian American Council. “Lost in much of the discourse over the Trump Administration’s withdrawal from the JCPOA and announcement of new sanctions and escalatory measures has been the impact these external actions may have on the political dynamics inside of Iran,” Parsi said. “Trump argued his action would force Iran to change its behavior for the better. Instead, conservative hardliners appear to be extending their grip on Iranian society as part of a renewed bid to undermine the moderate forces around Rouhani. Nazanin Zaghari-Ratcliffe, the British-Iranian citizen held since 2016, is another innocent victim of this struggle,” Tisdall writes. It’s an absurd assertion since the practice of arresting, imprisoning and even hanging political prisoners and human rights activists have been going on long before President Trump even thought about running for the White House. Tisdall and Parsi omit how after Hassan Rouhani was elected president in Iran and was lauded as a new “moderate,” the regime went on a binge of historic proportions in rounding up and arresting everyone from journalists and bloggers to ethnic and religious minorities to Youtubers and social media users in an effort to quell internal dissent during the negotiations with the Obama administration on a nuclear idea. How ironic there was barely a whisper about Iran’s brutal human rights suppression then, but now Iran lobby supporters blast President Trump’s recent summit with North Korea in which human rights were also not brought up. In a statement sent following the arrest, Human Rights Watch (HRW) said Sotoudeh “is a human rights champion who should be applauded, not jailed”. “Iran’s judiciary again has revealed to its citizens and the international community its disdain for and fear of people who seek to protect human rights,” Sarah Leah Whitson, HRW Middle East director said. Indeed the move to arrest Sotoudeh is recognition by the mullahs in Tehran that the jig is up and trying to pretend to be a moderate Iran was not going to work anymore. If anything, Trump’s actions have finally ripped away the lie the Iran lobby has worked hard to maintain and revealed the awful truth about the Iranian regime.